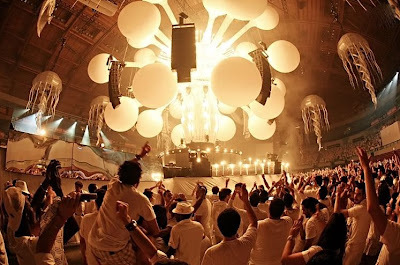 On May 9th, Lisbon was the stage for an astounding itinerant mega party-show evoking the beauty of white, called SENSATION - The Ocean of White. In line with that, here is an interior design set suggestion: an all-white creation by Inês Martinho. Leather, wood and metal were the elements that inspired her when laying the ground work for the Prairie sofa. This line sports modern geometric lines with sober, smooth finishes and were designed to be an instant classic, making it the centerpiece of any living space. 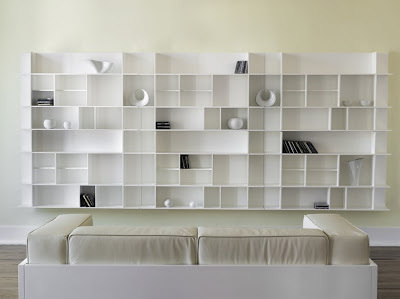 Panorama, on the other hand, is the result of a project focusing on a new kind of wall units. Creating an accessory that could work both as a media storage and as a decorative accent is no easy feat. We set out to create a product that can be added to any living space with very little effort in terms of assembly. We accomplished that by making a pre-drilled support that once installed, holds the unit in the wall. Taking into consideration the creative culture of our clients, we added a degree of customization by adjusting the dimensions in a way that allows the conjugation of more units sideways or upwards/ downwards. Panorama is our answer to your creative need of having a wall unit just like you want to. Two classics put together make for a peaceful living room. 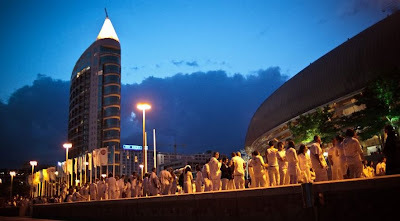 White just like heaven must be. Panorama mania piece is truly modern. Would love to see the whole house decorated into a similar theme.